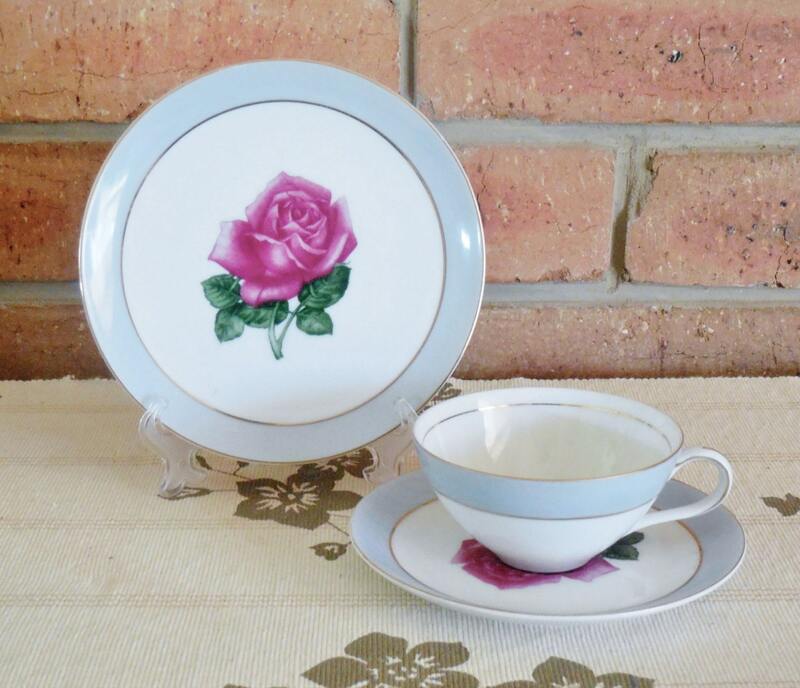 Japanese fine china porcelain teacup and saucer duo vintage 1940s. 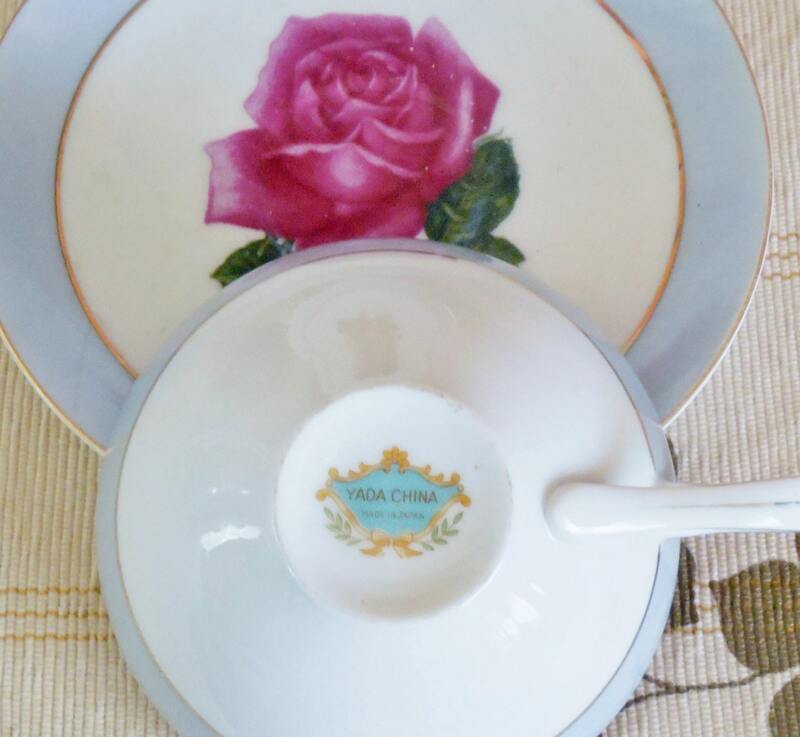 by Yada China – featuring a large, lush deep pink rose on white ground with a soft grey blue border and 24K gilt trim. Perfect condition. An ideal gift for the appreciator of beautiful fine china, especially if you team it with a packet of fine leaf tea!